WAILEA, MAUI – Wailea Realty Corp., a Maui-based real estate company, recently announced it has expanded its marketing services with the addition of Liza Pierce, an interactive media strategist. Pierce brings an extensive background in online marketing, social media management, blogging and digital marketing strategy. She also has experience in project management, having helped a range of clients increase their operational efficiency. In her role as interactive media strategist, Pierce will oversee the development and coordination of Wailea Realty’s digital efforts, while maintaining the company’s digital presence. She will also train agents in the efficient and proactive use of social media, as well as how to leverage new technologies. It has been a while since I updated this blog. In fact, it was almost a year! 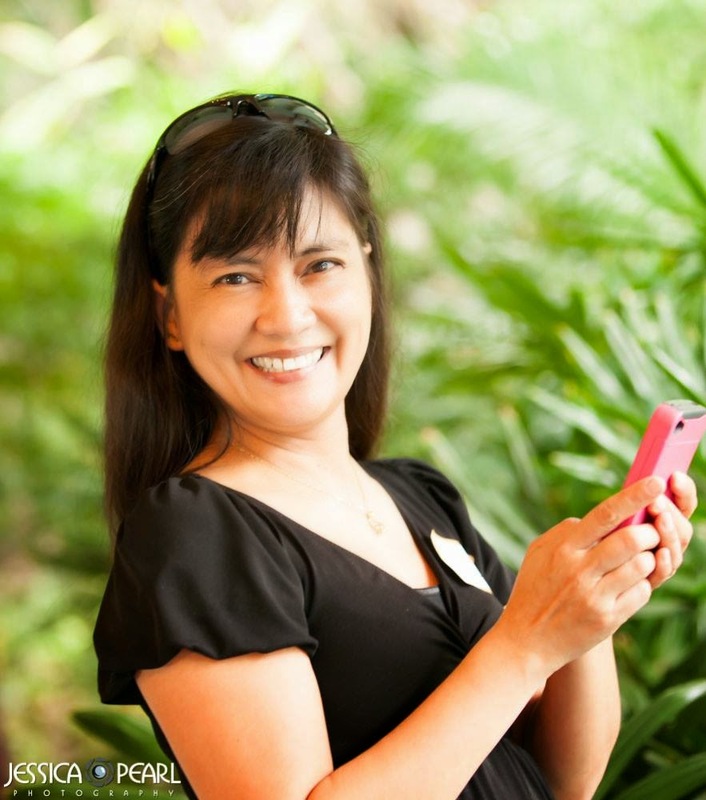 When 2013 entered in, I have had many calls from entrepreneurs and business owners on Maui asking of I can do social media for them or if I can teach them how. I can do both. However, I realized I have to reorganize my self and reprioritize as I try to accommodate my coaching and consulting into this busy mama schedule of mine. And so I thought one of the things to do is to get back on this blog. I do well thinking out loud on a blog. This is blog my thinking place, my open book thinking place on all things social media. 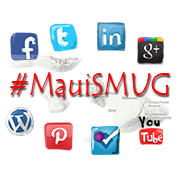 This will also be my teaching place, my sharing place and my fun place for social media on Maui. Now let's put the do it to it! e. owned by you and not from a business you work for. If it's your own business website and you have a blog there, then it's ok.
c. blog and Facebook Profile will be checked before being accepted. d. only the admin can add members. 1. Be Nice. The goal is to build is other up and not tear each other down. I suggest following the Thumper Rule "If you can't say something nice, don't say nothing at all". Correcting or constructive criticism is ok but do it in a very tactful way and in private, with the goal to encourage and build up. 2. Be Generous. I say let's abide by the Golden Rule "Do unto others what you want others to do unto to you". Be generous in leaving comments on other member's blogs, and hope that they will return the favor, though don't be upset if they don't. a. Aside from visiting blogs and leaving comments, don't hesiste to post links that you find that will be beneficial to bloggers. 4. Be Respectful and Sensitive. Political Views and Religious views and other hot topics that we are so passionate about should not be impossed on others. 2. List chronologically so we can find it easily. 3. To encourage commetns being left on the bog post itself and not the thread on the Facebook Page. This morning I googled the words Maui Social Media and found that this blog is still on top of the list. I have not been updating this blog, but recently I am feeling the need to do that. There are many businesses on Maui who are jumping in the social media bandwagon and I feel the need to have a central place for reliable information on social media that the Maui Business Owners and Entrepreneurs can use. Personal Satisfaction - Expression of Creativity; Sharing Your Hobby or Passion; want to meet new friends, etc. Be A Professional Blogger - gain income through blogging *For 2 and 3 - your blogging standard would be higher: own URL; correct grammar and spelling; disclosures; site references, need a good web design. What is your Page Rank with Google? Alexa Ranking? Blog Rankings - Page Rank; TopBlogsites, etc. 1. Know Basic SEO (Search Engine Optimization). Why? because Google will bring visitors to your blog. Write interesting content (interesting to you and your reader; things you are passionate about). Be human. Sure key words are important but don't overdo it. Write with passion. Write with humor if you can (and it'd appropriate). Be technical only if it's a technical blog. Length Matters. A 250 word post is good. If less, maybe add photos; if more decide into several posts. If not too long but long enough, chunk it, ot break up. Make lists. Highlight (bold) impt. words. Words are good but adding photos, videos or slideshows greatly enhance the content and make the lay-out nice. Don't overdo. Read them and comment on it. Add them in your Blogroll. Subscribe in their feeds or e-mail newsletter. Be friends with the other bloggers. Make an effort to get noticed by influential bloggers - be friends with them. LINKS are important. Create some loyal commenters by replying on their comments. Know Facebook Pages relevant to your blog. Engage there. If the administrator allows others to post on their wall, post relevant links to your blog. Do not overdo. Do this only when you already have established relationship with the owner of the page. ex. there are many existing MAUI pages on FB. Make sure you have "LIKE (share) BUTTON" on your post. You'll be amazed how that would help promote your blog. Tweet a link to your blog post. If you get a lot of RT's, you'd hit a jackpot! :) Make sure you have the Tweet button. Follow famous bloggers and social media "true experts" and learn from them. They will usually tweet out helpful links. 4. Promote in Other Media (esp. on Maui) - newspaper (MauiTime; Maui Family Magazine, Edible Hawaiian Islands; radio, etc. ; E-mail newsletter.